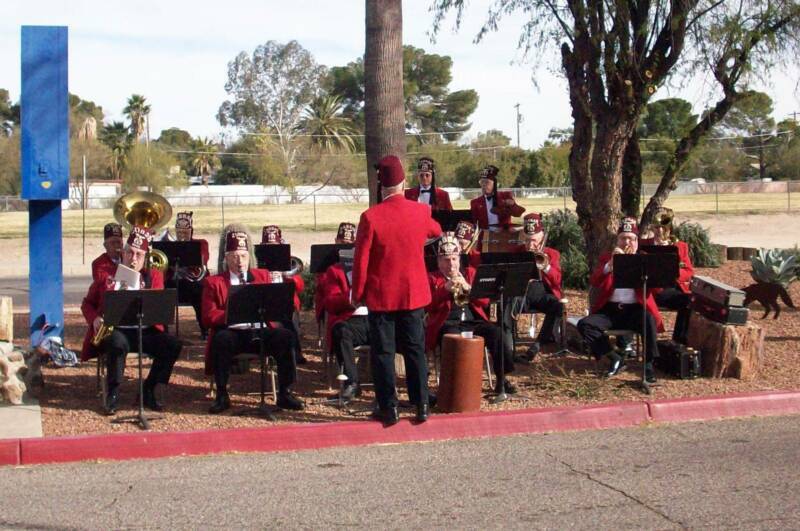 The Sabbar Shrine Band is a Unit of the Tucson Shrine Center and as such performs for ceremonial events at the Center, in parades, and at concerts and civic and patriotic events in the Tucson Metropolitan area. In addition to the Sabbar Concert Band, we have also had the Nobleaires Dance Band and the Edelmeiner German Band, which are now innactive. The Sabbar Band rehearses starting at 5:00 PM on the 4th Monday of the month and plays for the Stated Meeting the 2nd Monday of the month. We are dark in July and August. We are also in need of musicians in all areas, as well as a librarian and quartermasters.